What do you call a lawyer who helps people share, cooperate, barter, foster local economies, and build sustainable communities? That sounds like the beginning of a lawyer joke, but actually, it’s the beginning of new field of law practice. Very soon, every community will need a specialist in this yet-to-be-named area: Community transactional law? Sustainable economies law? Cooperation law? Personally, I tend to call it sharing law. Now, if only Lynne knew how to report all this to the IRS, and how to explain it to her car insurance company, the Health Department, mortgage lenders, the Secretary of State, the Department of Real Estate, the city planning and building departments, the Department of Agriculture, the Department of Labor, the Securities and Exchange Commission, and all of the other regulatory and bureaucratic entities that have a say over what she can and can’t do. And if only Lynne could feel fully assured that her rights to partial ownership in the cohousing community, retreat center, car, shared goods, and consumer cooperative would be honored by her co-sharers, or, in the event of an unresolveable dispute, honored by a court of law. If only she could find affordable ways to manage the risk of her activities, since her activities don’t fit into traditional insurance application check-boxes. If only there weren’t so many legal headaches involved in living well and creating more localized, sustainable economies…. Trying to unravel the legal issues that arise from Lynne’s lifestyle would be like trying to unravel a gigantic, messy, tangled up ball of string. Fortunately, thousands of people go to law school every year because they enjoy solving tangled messes. The emerging generation of lawyers is going to have a ball with this. At the same time, the answers will never be clear cut, and lines we have grown accustomed to will be increasingly blurred. Until we evolve a new set of legal definitions, we’ll dance uncertainly around the lines between “income” and “gifts,” between “own” and “rent,” between “employees” and “volunteers,” between “work” and “hobby,” between “nonprofit” and “for-profit,” between “invest” and “donate,” and so on. Our clients may have outside-the-box livelihoods and organizations, but it’ll still be the job of lawyers to help them fit into boxes that are traditional enough to comply with the law. The growth of “community transactional law” or “sharing law” has implications not just for what lawyers practice, but how they practice – how they interact with clients, deliver services, determine fees, work with conflicts of interest, and so on. Working in this field will require not only the skills of legal analysis, but also the skills of open-mindedness, clear communication, collaboration, and an understanding of the role that human needs and emotions play in collaborative transactions. Collaboration between lawyer, client, and community is key. A lawyer brings legal knowledge, while a client brings practical knowledge, and the community provides the forum for the transactions. To the extent information is shared in all directions, thoughtful and innovative transactions will emerge. Lawyers typically don’t freely share sample documents because charging for documents is a primary way that lawyers make money. Lawyers in this new field will need to develop new revenue models that encourage sharing of information. The free flow of information will ensure better informed clients, better quality documents, and communities that are empowered with an understanding of what is possible. A large component of lawyers’ work is drafting documents, like contracts and agreements about how organizations will function. In a world where people form babysitting co-ops, community gardens, open source creative projects, and other decentralized, participatory, fluid, and adaptable group projects, documents clearly describing these arrangements will be indispensible. That is, if people can understand them. In a typical lawyer-client transaction, the lawyer might prepare a document that the client looks at, often reluctantly and quickly. The document is then put into a file cabinet, never to be seen again (unless someone sues someone, in which case everyone hires more lawyers to interpret the appallingly long and confusing paragraphs). Documents should be living tools for a sharing organization. A readable governing document will: 1) help the group come to a well-thought-out plan, 2) serve as a handy reference for participants and encourage consistency in operations, 3) enable new people to join and get up to speed with the program, 4) promote group harmony by ensuring that everyone is on the same page, and 5) support other, similar programs, by making it easy for others to model a new program using the first one’s governing document. Zeal, however, may not be the most important thing clients are looking for in a sharing lawyer. Perhaps they want one attorney who can learn about everyone’s needs, help explain the benefits and risks for each person, mediate any conflicts that do arise, explain the legal framework, and then guide the group in developing a plan that works for everyone. Often, facilitating the growth of an open and trusting relationship among parties will be far more important than lobbying for favorable contract terms for a single party. At the same time, when the stakes are high, giving attention to individual interests will be essential. To this end, sharing law has much to learn from “Collaborative Law,” which has been applied primarily to divorce cases, and sometimes to the preparation of prenuptial agreements. In the collaborative model, each party is represented by an attorney, and thus has an advocate helping to assert that party’s interests. Typically, however, the attorneys are also trained mediators, and the parties come to the negotiating table in an open and cooperative spirit. In the same way that the collaborative approach has been used in negotiating prenuptial agreements, it could be applied also to co-ownership agreements, partnership agreements, and other situations where parties must balance concern for their own interests with the desire to come together and collaborate. With any luck, law schools will start offering classes and clinics focused on these cutting-edge transactions. Soon, a new generation of “sharing lawyers” or “community transactional lawyers” will be able to enjoy rewarding work, interesting clients, and a field of practice that deviates, refreshingly, from the usual big-firm and government career paths. Years ago, I read a cynical article complaining that lawyers do nothing more than “grease the wheels of big business.” It’s unfortunate to the extent that it has been true, but I liked the phrase and I think we should simply roll it in a new direction. 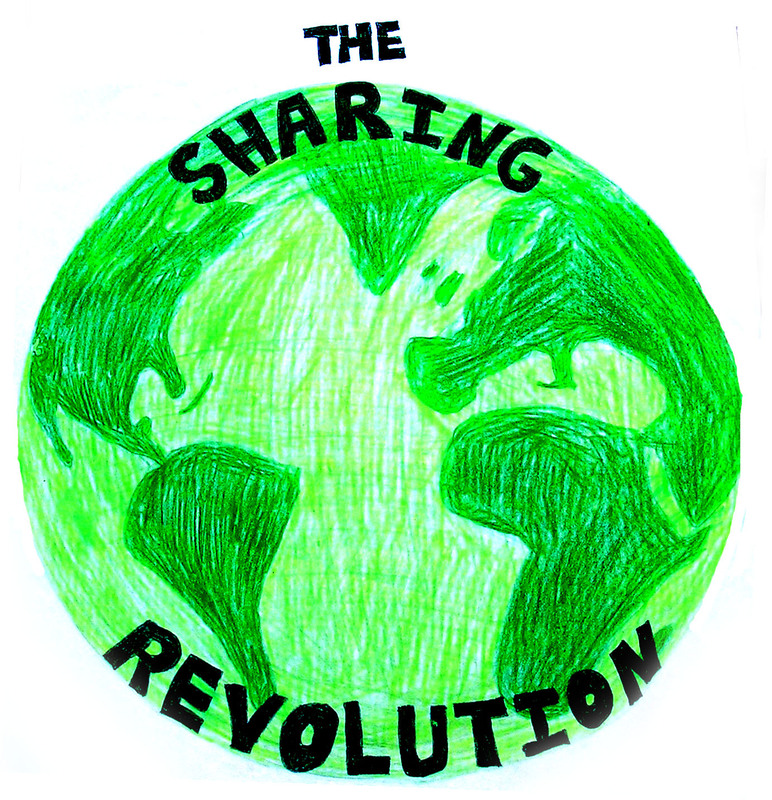 Now, our work is to grease the wheels of a more sharing, cooperative, and sustainable society. Buy:Viagra Super Active+.VPXL.Zithromax.Viagra Super Force.Cialis Super Active+.Viagra.Maxaman.Levitra.Viagra Professional.Cialis Professional.Super Active ED Pack.Tramadol.Propecia.Cialis Soft Tabs.Soma.Cialis.Viagra Soft Tabs…. Hi and thanks for your efforts. Glad your thinking outside the box. Please count us in on all aspects of these projects and we will even be willing to the first to create and apply the concepts of “Collaborative Law.” Especially if you need some one actually in process of creating and operating the new contracts for community currencies to test the water.